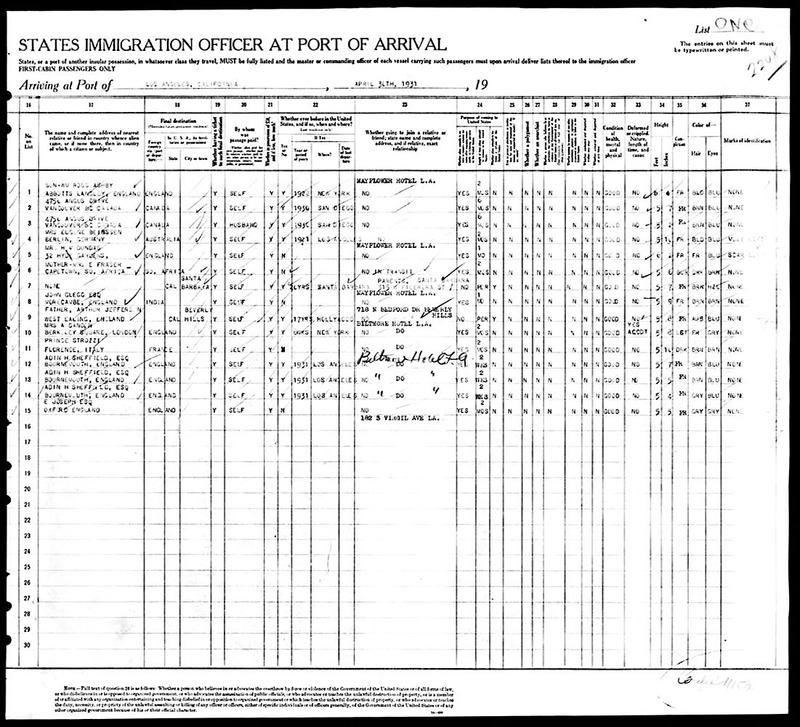 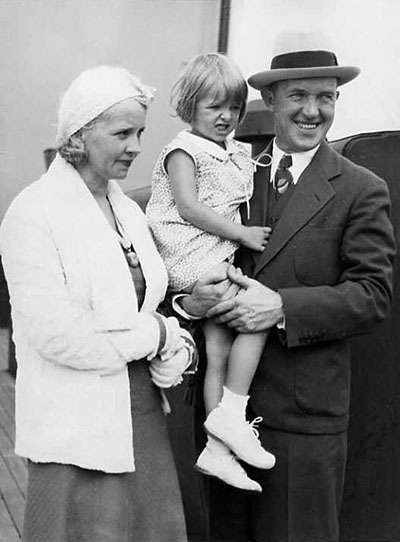 When Arthur S. Jefferson and daughter Lois appeared on the passenger list of the liner Malolo, it didn’t mean a thing, but when investigation developed that this was the real-life-name of Stan Laurel, of the Laurel and Hardy comedy fame, that was something else. 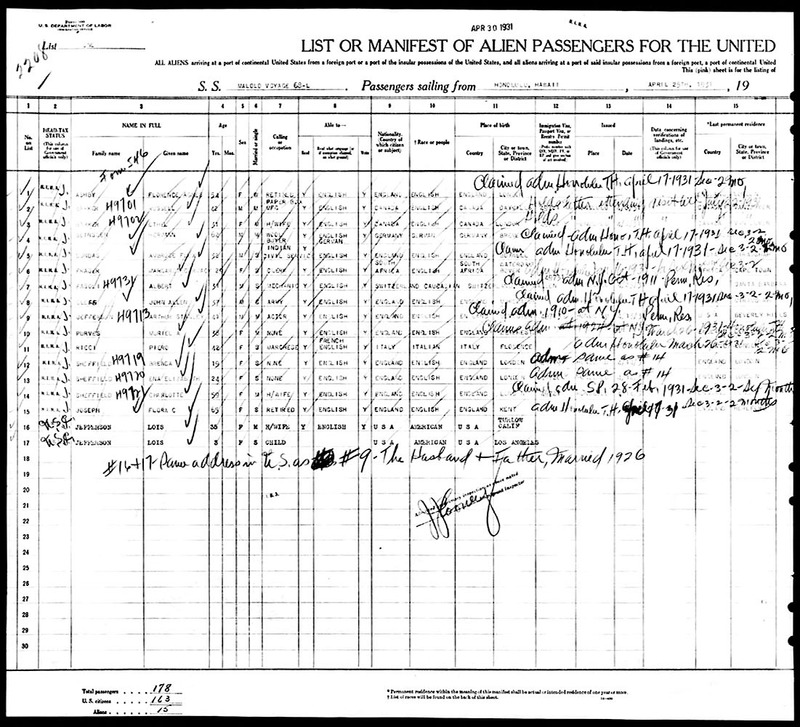 The screen comedian and his family have returned to the United States mainland from a long sojourn in the Hawaiian Islands, and Laurel proposes to again resume his laugh-making activities with Oliver Hardy. 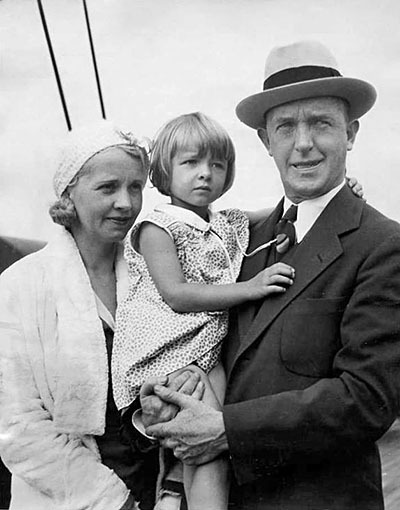 Stan Laurel, the British movie comedian, is pictured here with Mrs. Laurel and their 3-year-old daughter, Lois, as they reached Los Angeles on the liner Malolo after a period of residence in Hawai.